The Center for Immigration Studies lists Connecticut as one of four States identified as “Sanctuary States.” The other three are California, New Mexico and Colorado. Five of our Counties are also listed: Fairfield, Hartford, New Haven, New London and Tolland. Some nine Connecticut cities are also so identified including Bridgeport, Hartford and New Haven. While Stamford is listed as a Sanctuary City, Norwalk is not. Hopefully the above information about Sanctuary cities will be useful in public discussion. Although not claiming this status, I seem to recall that the police suggested otherwise in dealing with people’s legality as a US citizen. What an inane statement by non-affiliated does s/he really think our schools are overcrowded because of illegal aliens? Pathetic pandering. There are, on average, 35.5 fewer crimes committed per 10,000 people in sanctuary counties compared to nonsanctuary counties. Median household annual income is, on average, $4,353 higher in sanctuary counties compared to nonsanctuary counties. The poverty rate is 2.3 percent lower, on average, in sanctuary counties compared to nonsanctuary counties. Unemployment is, on average, 1.1 percent lower in sanctuary counties compared to nonsanctuary counties. While the results hold true across sanctuary jurisdictions, the sanctuary counties with the smallest populations see the most pronounced effects. FYI, if you own or rent a house, you are paying property taxes, which, in Norwalk, dis proportionally go to funding our school system. The Board of Education cites the Hispanic birth rate as the number one reason for growing enrollment. Number two is immigration and number three is development. Yes- Facts are facts. There are 100’s and 100S of undocumented children, and us born children undocumented immigrant that taxpayers pay to educate, and will now need to build new schools. In Norwalk specifically there is also a very high correlation of increased special ed , and ESL programs that are driving education costs thru the roof. Nancy, Perhaps you can do a more in depth story about the school budget specifically addressing 1) health insurance 2) enrollment and 3) programs. 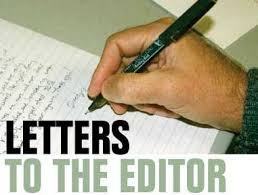 Rather than bash the community’s immigrant population, the BOE needs to take a cue from the public outcry regarding their outlandish budgetary requests. Basic math should dictate that 10% increases are not acceptable and if this was continually attempted in the private sector an immediate housecleaning of those responsible would be enacted. It has become clear that both Lyons and Adamowski are incapable of restructuring the school district in line with the economic hardships of struggling taxpayers. Clearly, the BOE is being myopic and disregards the burden the school board perennially places on its citizens. Some have even went as far as saying that this has created a proverbial/soft “Youth in Asia” impact to the city’s retirees by forcing even higher taxes/chasing them out along with placing even more anxieties on the struggling middle class. Yes, we understand the inequity of the ECS state formula – so how are you containing costs and what are you doing about it? Steve, Mike, Anyone . . . how about having some of those fat cat salaries be voluntarily reduced? Both are important. The BOE needs to run the leanest ship possible. The proposed capital project list should be the most cost efficient. Likewise- The city needs to deal with all of the costs of being a sanctuary city and decide if this is what’s best for all taxpayers. The first is easily defined. The latter is far more subjective and can be very emotional. I didn’t see one person in this conversation bashing the immigrant population. The costs are real and a grown up discussion should be had. There are “100’s and 100’s” of undocumented students in the Norwalk school system? Curious statement. Sounds a bit alternative-factish. This story on Brian McMahon’s 2016 undocumented Valedictorian Laura Veira challenges the assumption that these students, regardless of their numbers, are a burdon to the nation. She sounds like a fantastic young woman, and certainly is a true asset to the USA. Yes there are 100s of undocumented children and us born children of undocumented persons in our school system. Its been documented in several articles. And yes, the accomplishments of one young person ( and I’m sure there are many, many others) are laudable. My question/issue is different. Our schools are funded primarily with revenue generated from real estate taxes. How many undocumented children can the limited number of local real estate paying taxpayers afford to educate? How many illegal apartments can we afford? And – as a sanctuary city ( declared or by practice) we encourage more illegal immigration to our city. Supreme Court ruling require that every municipality educate all children regardless of status. There is a big difference between being tolerant, and inviting fiscal hardship. In our new political reality ( like it or not – its a reality) we will also risk loosing federal funding. Non Partisan: between the two of us, I’m the only one who presented qualified facts. The very people you rail against are funding the public education system – and other tax funded city services. We can agree to disagree. You presented 2 well written studies from progressive think tanks that support a pro legalization position and use macro economic theory and dynamic scoring. They indicate approximately 1/2 of the undocumented immigrants pay some income tax, plus sales taxes, plus an underlying real estate tax. Federal and state income tax, and state sales tax provide very little to the cost of local education. Local education in Norwalk is primarily funded by real estate taxes. All of you missed the point. These are Illegal Aliens living free of worry of deportation in our state. Non Partisan: nothing to disagree on there. We agree completely – the basis for education funding in Norwalk is property taxes, and all residents, regardless of immigration status, pay property tax, either directly, as a home owner, or a renter. Here are some facts regarding the effect of immigration – illegal and legal – on citizens. One may claim to be virtuous for supporting illegal immigration, but this is really spending other people’s resources/money – and stealing from their children (via the increase in national/local debt).